I like to drink in moderation (mostly), and I consider myself a bit of a beer snob - craft brews, local if possible, and the darker the better. In the winter, though, I find myself turning to wine more often than not. When it's cold and dark outside, curling up with a glass of red while the dogs wrestle at my feet is the perfect way to spend a quiet week night. 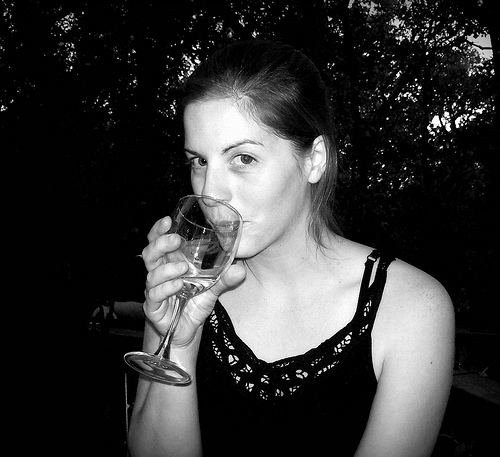 And since wine is good for you (maybe...) I don't to feel too guilty about my daily glass. However, a wine habit - even in moderation - can be expensive. It also creates a lot of waste, even if I can now bring my empty bottles to the Habitat Resale Store so that they can be upcycled into fancy glasses and decorative lighting fixtures. (We brought them many, many champagne bottles on January 1st!) Still: we're living on a budget and trying to save as much money as we can, and we've discovered a little secret that satisfies both our wine habit and our miserly ways. 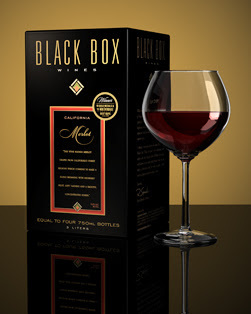 Reader, I would like to introduce you to every cheap wino's best friend: the Box of Wine. I know what you're thinking. Wine? In a box? And allow me to reassure you - today's boxed wine is better than the sickly sweet blushes your parents shoved on the bottom shelf of the fridge, behind the Wonder bread and pickles, in case company stopped by. 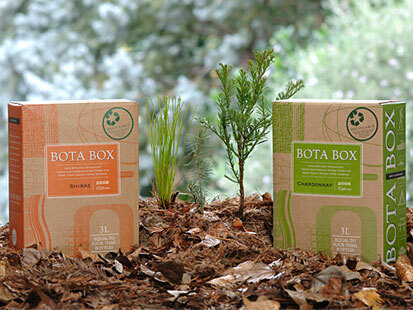 Many wine companies are beginning to appreciate the plus side of packaging their better elixirs in a box. One box of wine usually equals four bottles, and because there's less packaging, the box is cheaper than it's glass counterparts. Best of all, the box keeps wine good for at least two weeks even after it's been opened. 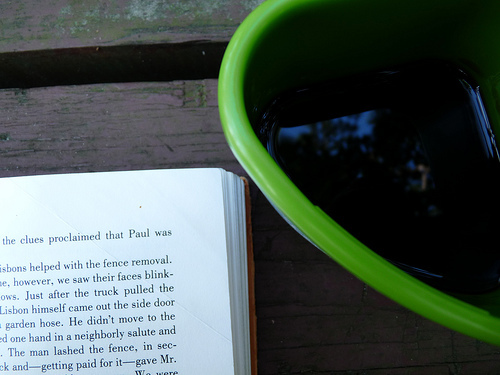 You no longer have to deal with headachey mornings just because you didn't want that last, lonely glass to go to waste. "Yes," you're saying. "That's great, save money, save the environment, blah blah blah - but how does it taste?" And my answer to that is: pretty good. For the most part it will not be the most amazing glass of wine you're ever going to have in your life. And that's okay - that's not what one should expect from a single glass on a Wednesday night while you're wearing mismatched socks and watching Netflix Instant viewing. If you're celebrating an anniversary or a job promotion or a new puppy/child - by all means, spring for a fancy bottle! But in all other scenarios, do yourself a favor and try the box. You'll thank me later!